When you choose Old Republic, you partner with one of the country's strongest insurers - a company managed conservatively for the long run. For more than 50 years, we have offered innovative solutions, proven claims and risk management solutions for our customers. 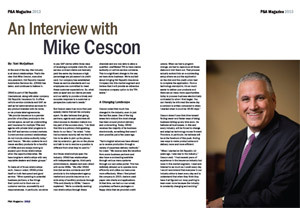 Our approach, commitment to the marketplace, and high standards for client care are just a few of the reasons we enjoy an excellent reputation in the insurance industry. Old Republic Insurance Company is rated A+ (Superior) by A.M. Best and provides specialized property and liability insurance products. For more information, contact us at [email protected] or (800) 331-3780 X 7431. 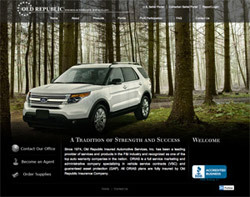 About Old Republic Insured Automotive Services, Inc.
Old Republic Insured Automotive Services, Inc. (ORIAS) specializes in aftermarket products and services designed exclusively for automobile dealers and vehicle manufacturers. Our primary products are guaranteed asset protection (GAP) plans for consumer automobile loans and vehicle service contracts (VSCs). ORIAS is a full service sales and administration company serving the automotive industry since 1974. ORIAS and Old Republic Insurance Company are members of Old Republic International Corporation group of companies, one of the nation's 50 largest publicly held insurance organizations. 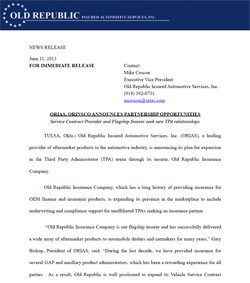 ORIAS is expanding into the TPA arena through its flagship insurer, Old Republic Insurance Company, which has a history of providing insurance for OEM finance and insurance products. This expansion into the marketplace includes underwriting and compliance support for unaffiliated TPAs seeking an insurance partner as well as the authority to adjudicate vehicle service contract claims. For more information, contact us at [email protected] or (800) 331-3780 X 7431.